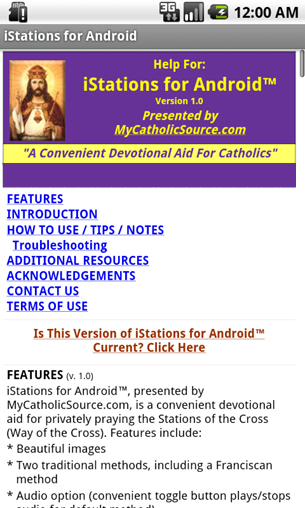 "A Convenient Devotional Aid For Catholics"
* Reminder: We cannot guarantee functionality with any given device, configuration, operating system or combination thereof, or in combination with any other app(s), accessibility features, etc. All items herein subject to change at any time without notice. Actual product may differ from images appearing herein. 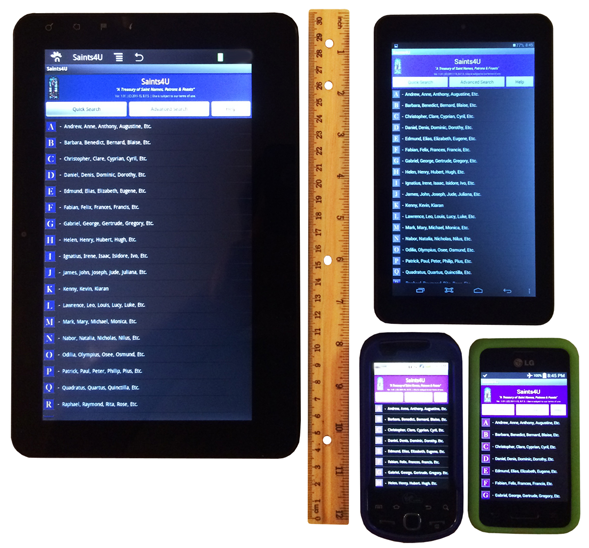 Appearance / functionality of app may vary by device / operating system version / device configuration / etc. 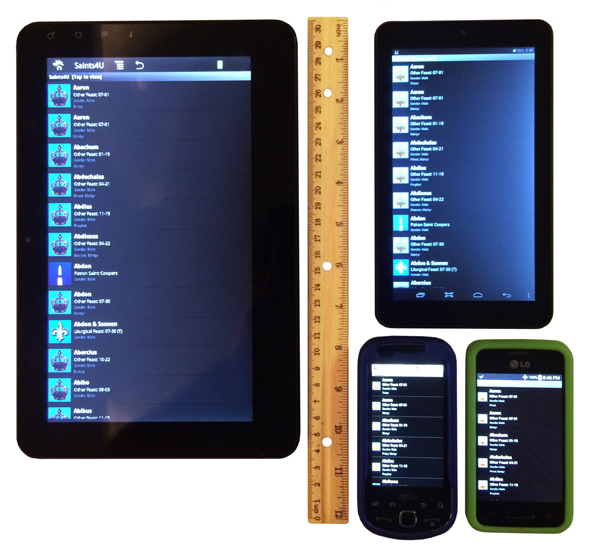 Please Note: Above image is a photograph of actual devices for perspective concerning various device sizes. Photo does not reflect app's true image quality. 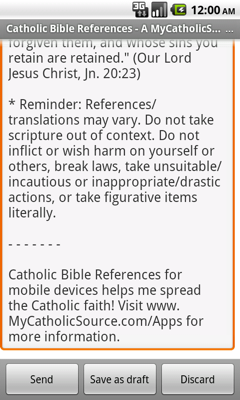 Catholic Bible References for Android ™ is a handy apologetics tool that can be used to help Catholics discuss & defend the faith. 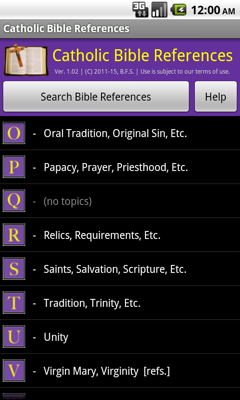 Features hundreds of key bible references conveniently arranged by topic. * Reminder: We cannot guarantee functionality with any given device, configuration, operating system, e-mail client, or combination thereof, or in combination with any other app(s), accessibility features, etc. All items herein subject to change at any time without notice. Actual product may differ from images appearing herein. 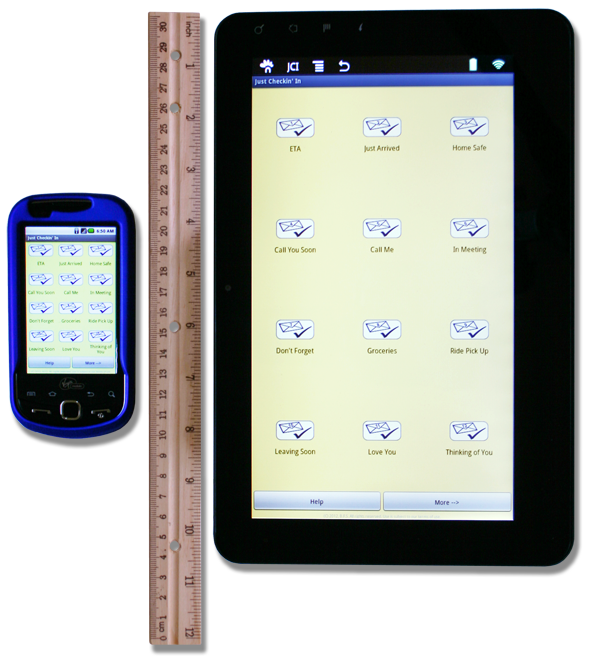 Appearance / functionality of app may vary by device / operating system version / device configuration / e-mail client / etc. Be Prepared The Next Time Someone Knocks At Your Door Trying To Covert You! 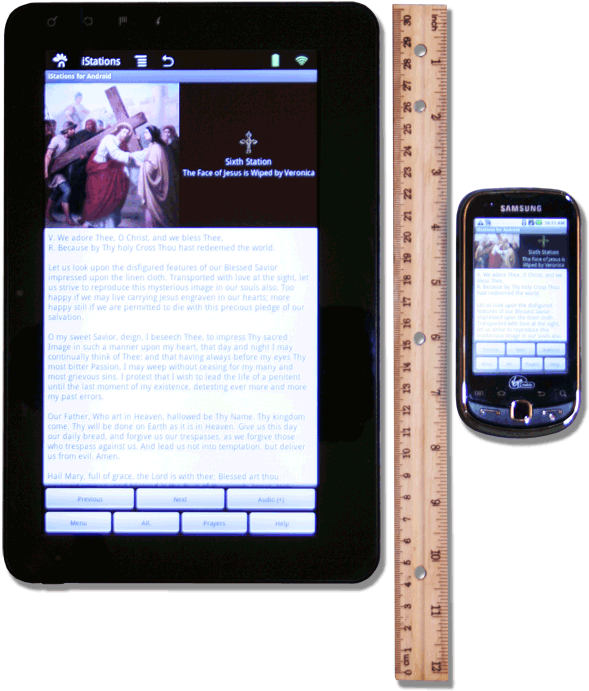 "Every Catholic should have this!" 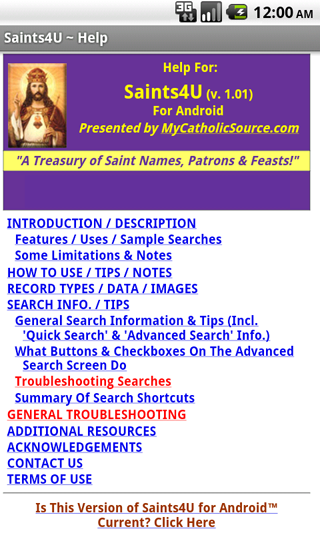 "A Treasury of Saint Names, Patrons & Feasts!" 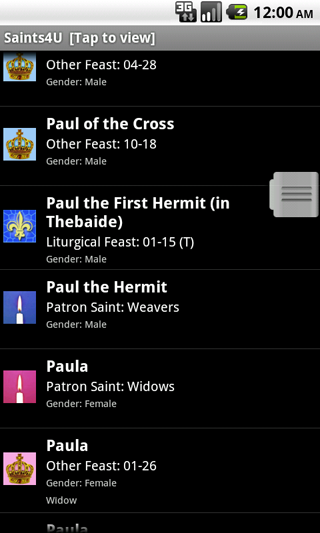 Saints4U, presented by MyCatholicSource.com, is a handy tool for quickly locating patron saints, saint names & feast days. 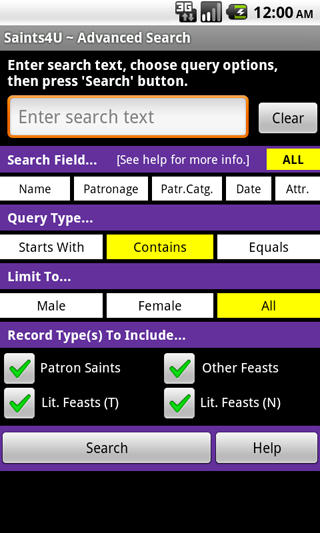 With over 6,400 listings, including 1,000+ patronages, it's easy to find patron saints, feasts, baby names, baptismal & confirmation names. 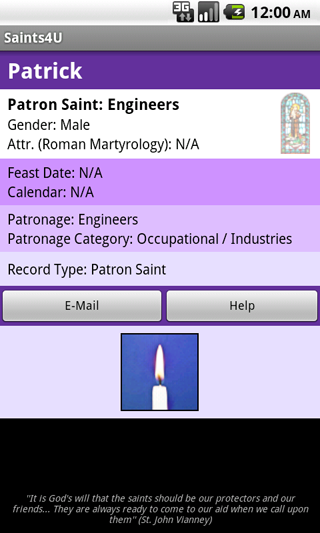 Search for male or female saint names, feasts falling on particular days or months, patronages, liturgical feasts, and more... Great for those times when you'd prefer not to wade through an entire encyclopedia (or fill up your device with one) to locate a patron saint, feast day, or saint name! * Contains Well Over 6,000 Quick Entries! 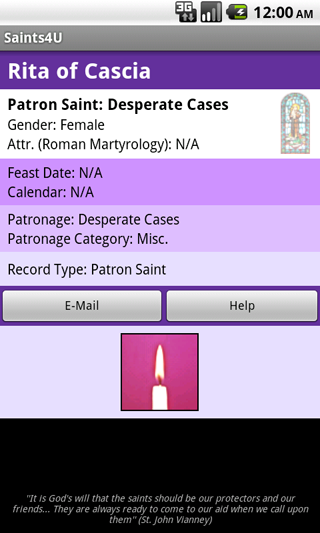 * Unlike some alternatives that focus on secular sources, Saints4U relies on Catholic sources - including the pre-1970 Roman Martyrology & the General Roman Calendar! 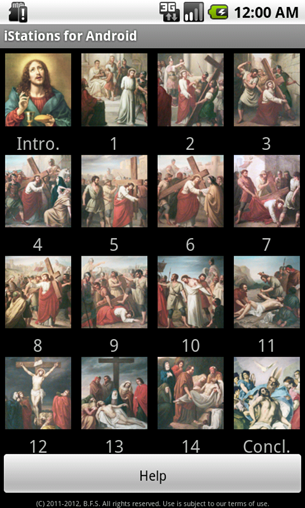 * This app is NOT an encyclopedia - it contains information like that displayed in the applicable screenshots. 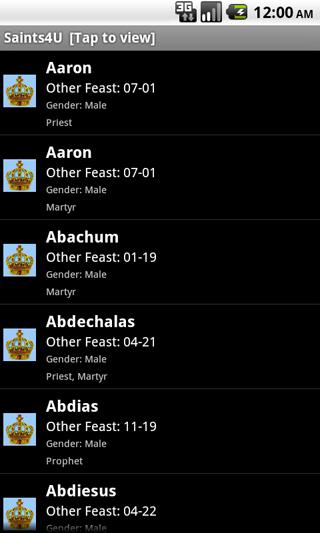 For additional detail concerning saints, try the links provided in the app. 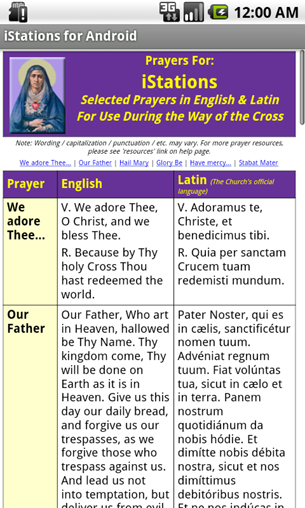 * Saints canonized more recently, added to the liturgical calendar more recently (e.g. 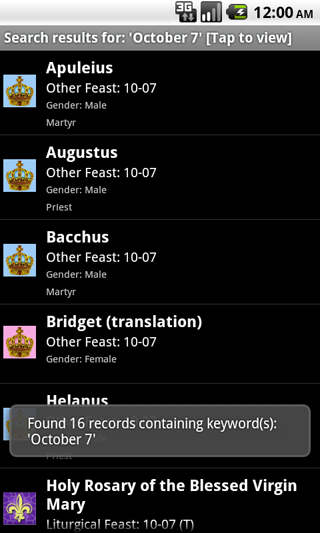 after source materials were printed), made patrons more recently, or saints not included in the pre-1970 Roman Martyrology index may not be included in the Saints4U database. 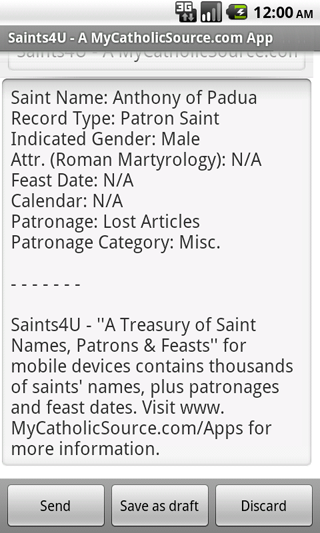 * The 'last/final' Saints4U database update was made in 2011. No future updates are planned to the database. 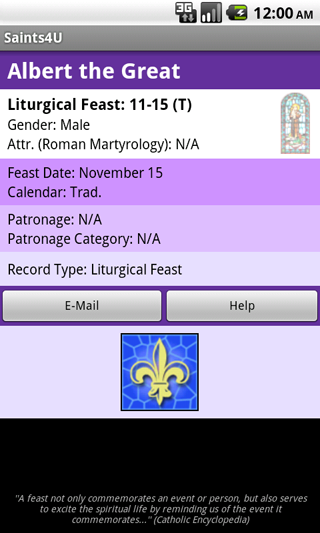 * This app contains three (3) types of records: patron saints, liturgical feasts (old & new calendars), and other feasts/martyrology. Although some of the content will necessarily be duplicative (e.g. 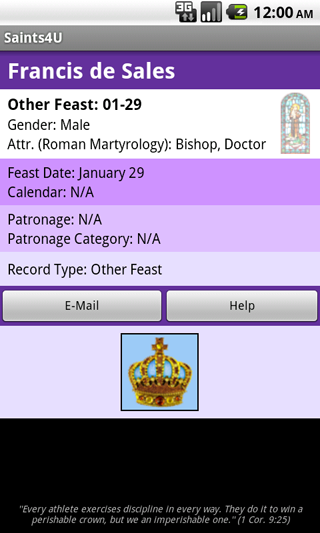 feasts from the martyrology may also appear in the liturgical calendar, feasts from the old calendar may also appear in the new), this does NOT mean the records themselves are duplicates. Rather, each record stands alone for each record type (note the different icons associated w/each record type). Please note that while some records may contain some duplicative data - they are NOT actually duplicates. 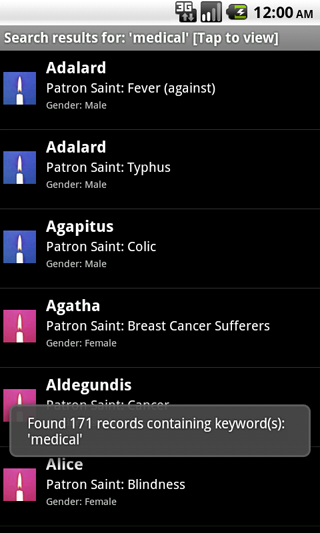 If we were to remove supposed 'duplicates', the app could no longer provide complete listings for each record type. * Standard fonts/font sizes may be recommended. 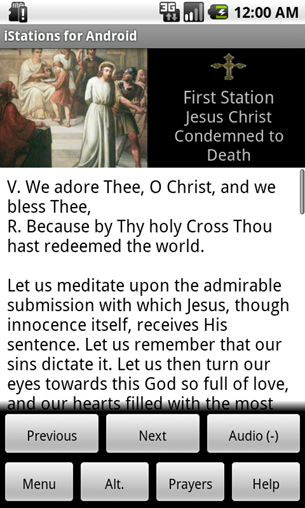 App may not display properly / function properly / appear optimally with other fonts or font sizes. * To send e-mail, a valid e-mail account existing on your device and an Internet connection are required. 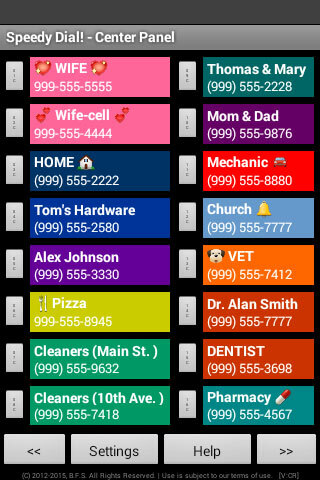 "Your Convenient Speed Dial Alternative"
* Fast setup - For data found in contacts, it is possible to set up a speed dial in as little as 3-4 seconds! 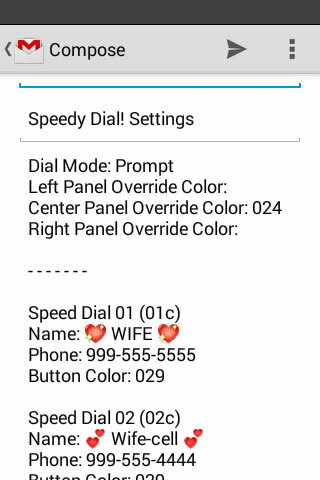 * Up to 3 dialing modes+, including option to be prompted before dialing - Helps prevent accidental dialing! 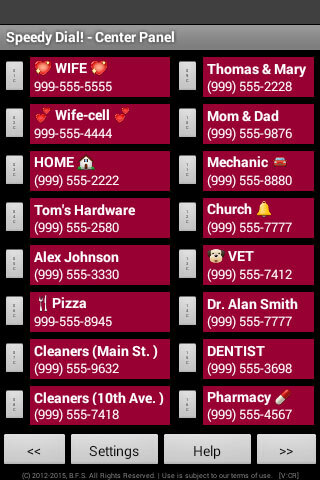 * Avoid scrolling through favorites or contacts - put your most important 48 numbers in Speedy Dial! and dial them quickly and easily! * Quickly & easily change existing speed dials - change them as often as desired! + Where applicable. 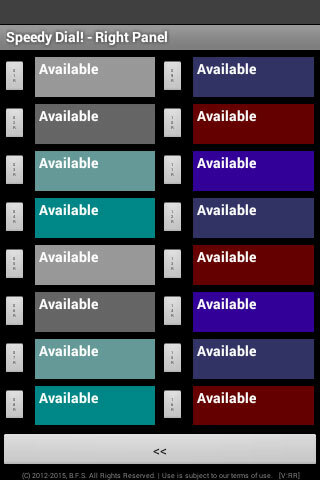 Availability / function / app behavior / etc. may vary by device / operating system / settings / etc. Concerned about privacy? Rest assured that neither your contact information (i.e. 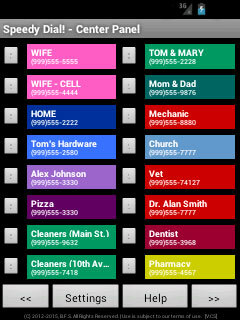 speed dial names, phone numbers) nor information about calls you make is sent to us. 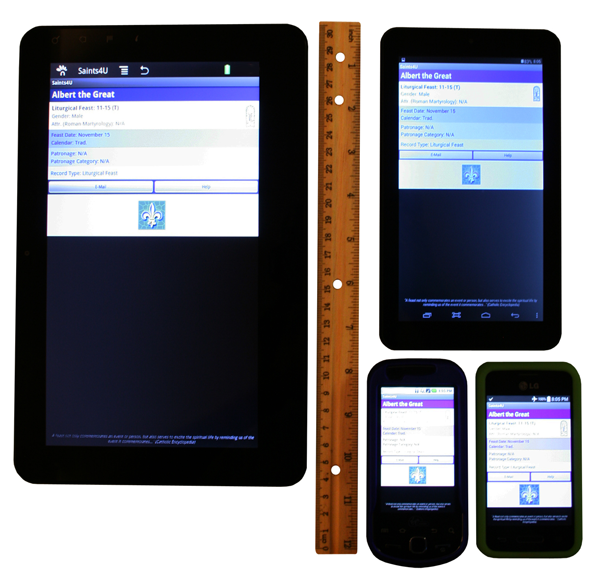 * Designed for hand-held devices in a single-user environment. * Where applicable, a stylus may be recommended. * Other Requirements: A properly functioning & configured device with active / available phone service is required to use this app. The app must be granted applicable permissions (e.g. to dial, access contacts). 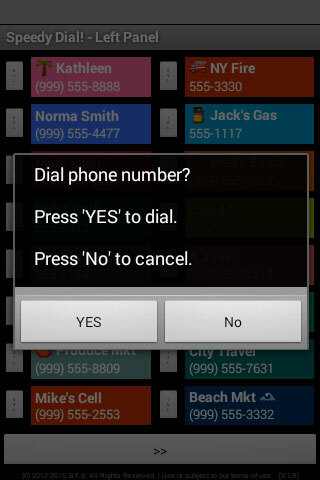 This app requires an applicable, standard system dialer and conventional cell service. 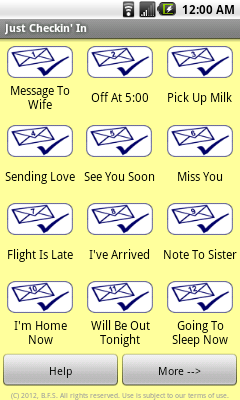 The 'retrieve from contacts' feature may require an applicable, standard system contacts app. International / regional calls may require international/regional phone service. 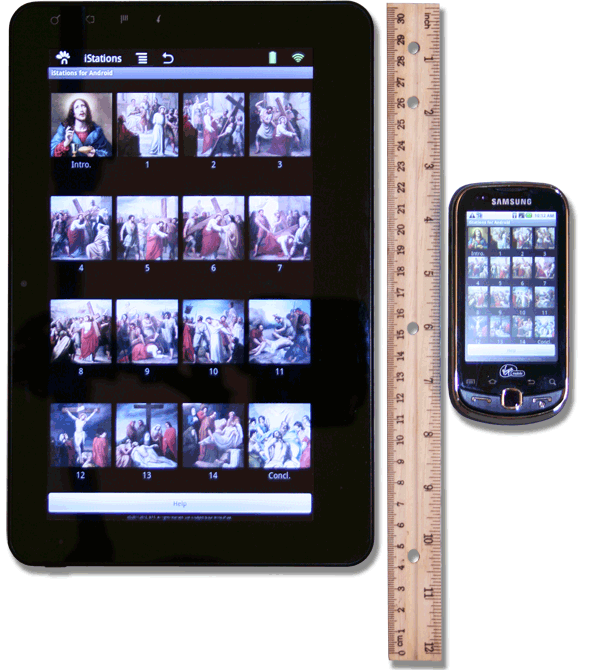 Please Note: Above image is a photograph of actual devices for perspective concerning various device sizes. Photo does not reflect app's true display quality. * Various characters may be prohibited in phone numbers. * Phone numbers may need to be a certain length in order to dial successfully. * Various limitations may be placed on phone numbers by your device / operating system / carrier / dialer / etc. 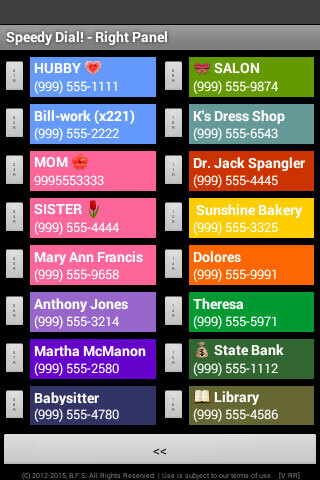 * Names (and/or other information) displayed when dialing may be based on what the system finds in contacts (not what is entered in this app). 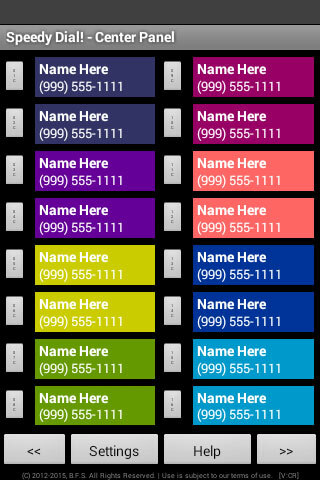 * Once a name and/or number retrieved from contacts is assigned to a speed dial, it is static. 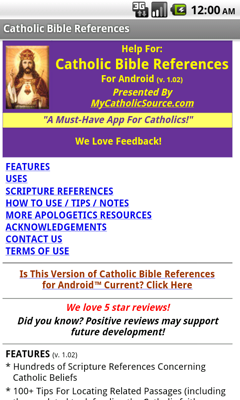 * This app is not a substitute for built-in apps such as the phone app and the contacts app (which may also be required in order to use this app). * Calls are not received directly from within this app (calls are received as normal via the built-in phone app). 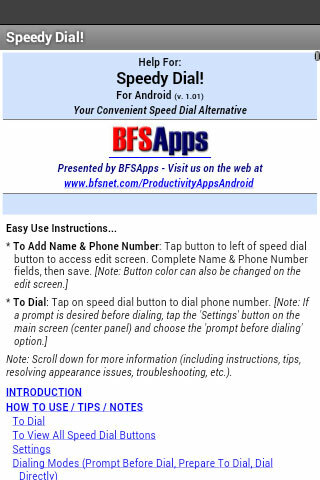 * This app does not provide direct access to the phone app other than through the speed dials themselves. 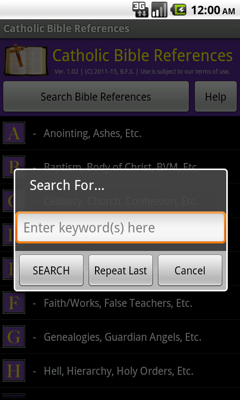 * This app is *not* a means to view, delete, edit or enter data in the system's contacts app. 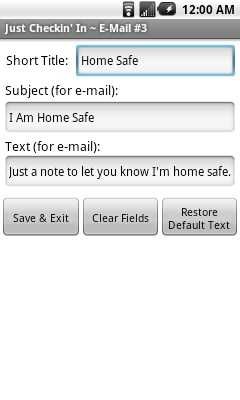 * The 'retrieve from contacts' option is limited to a maximum of five detected phone numbers per contact. Results from the 'retrieve from contacts' feature are not always as expected and they are highly dependent upon how data has been input by the user. The 'retrieve from contacts' option looks at certain fields to find data. If data appears in other places, results may not be as expected. Note that it is not always possible to recognize certain data, and some data may not be recognized properly. 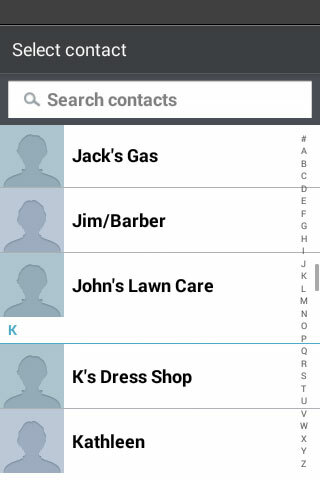 Phone numbers retrieved using the 'retrieve from contacts' option do not include associated labels (e.g. home, work, etc.). * Phone number keypad / allowed characters / function of keys / etc. may vary by device / operating system / etc. 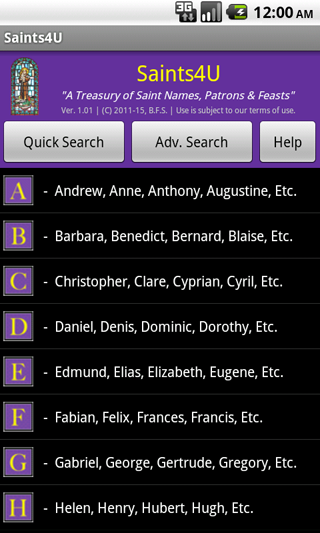 * This app is designed to be used with standard systems apps (e.g. 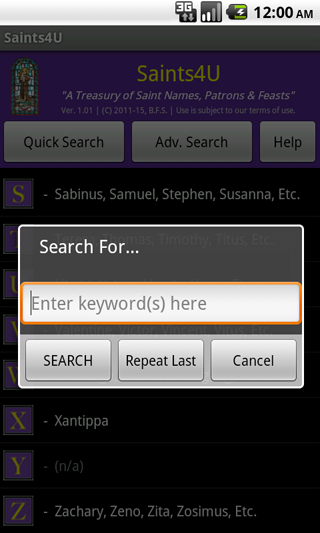 phone, contacts) and it may not function with other third party apps. 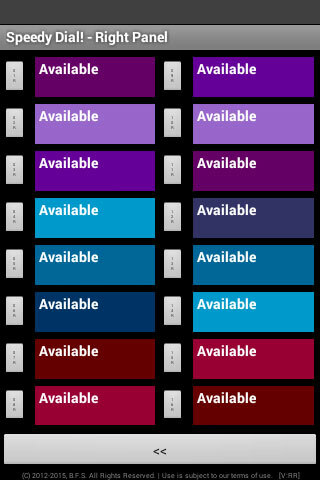 * This app is not designed to be used with calls that require access numbers/access codes. 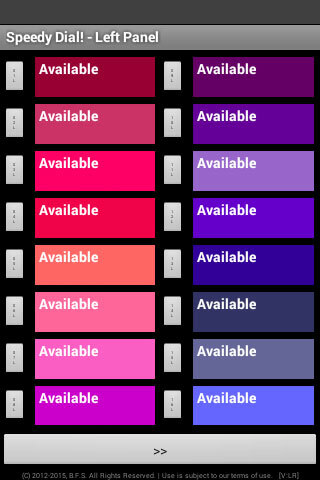 * This app may not provide access to various 'built-in features' (e.g. 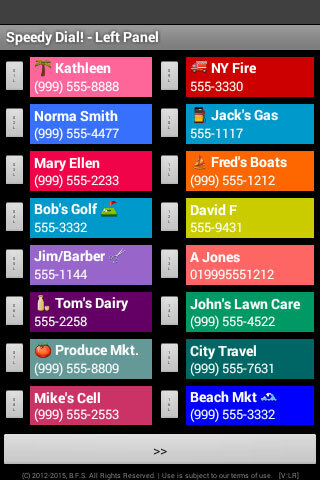 voice mail, system speed dial buttons). 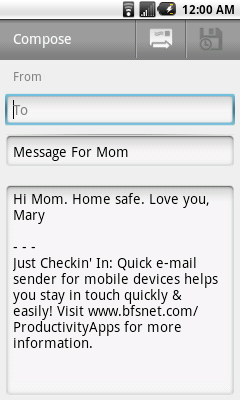 * This app is not designed to send text messages. 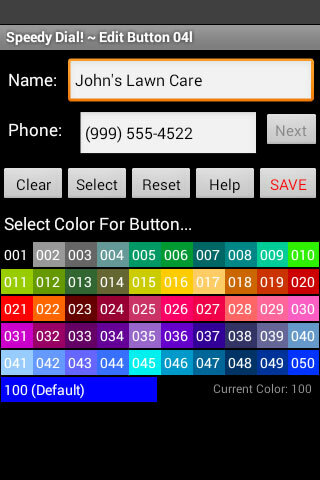 * This app is designed to be used with an applicable, standard system dialer and conventional cell service. It may not function with other apps, dialers or other types of phone service. The app is NOT designed for Internet telecommunications. * To access your contacts, Speedy Dial! may require applicable permission. 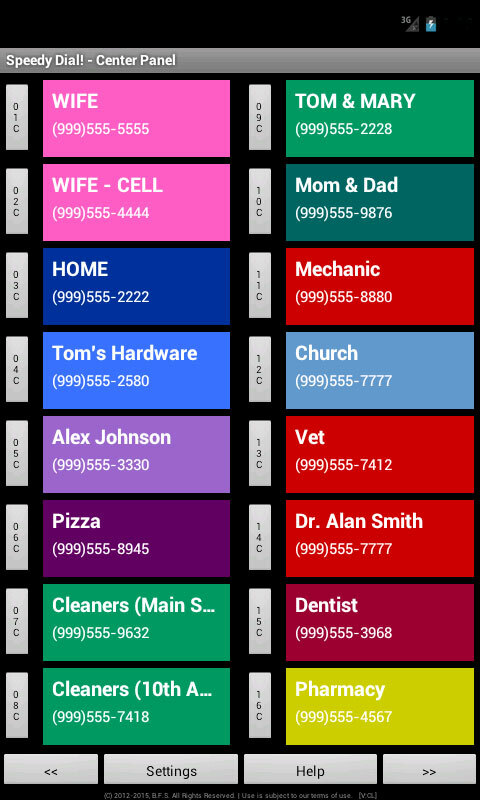 A standard system contacts app is also necessary. 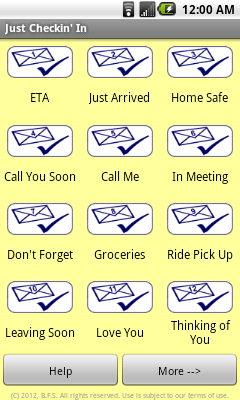 The 'retrieve from contacts' feature is designed to be used with applicable, standard system contacts and may not function with other contacts apps. * Speedy Dial! 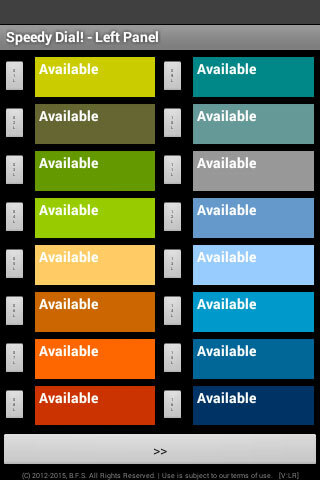 is designed for single/basic type calls. 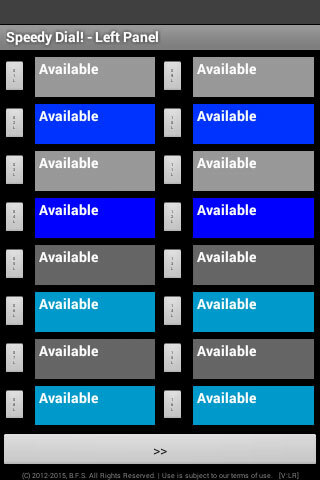 The app does NOT have a direct, in-app option for conference calls, call waiting, video chat, etc. 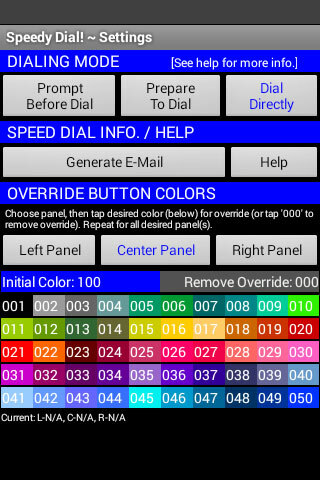 * Phone numbers can not be assigned to the dial pad with this app. 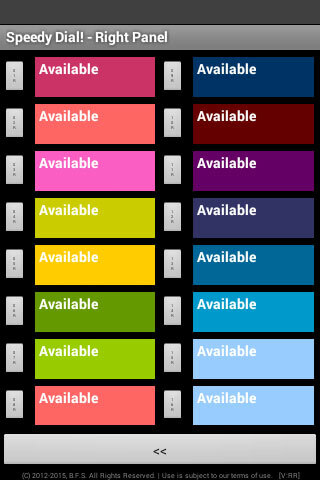 Speed dials are available from within this app only. * Speedy Dial! can only dial numbers that have been added to speed dials. For other numbers, use the standard method(s) for dialing. * The ability to return to Speedy Dial! automatically after calls may vary by device / operating system / dialing mode / etc. * If the system detects a problem with a phone number, it may not dial it or it may attempt to dial it in an unexpected way. 'Dialing decisions' like this are handled by the device (we do not control this). 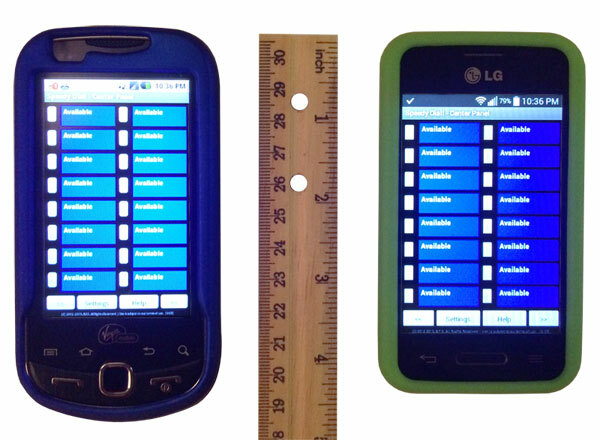 * Availability / functionality / behavior of dialing modes may vary by device / operating system / etc. Note in particular that the 'Prepare to Dial' dialing mode may be non-functional on some devices. * For more limitations & notes, see below & click here. Note that we urge those with special dialing needs which are not supported in this app NOT to purchase this app unless they are able to work around the issue (e.g. dial the unsupported numbers outside this app). We also recommend that users spend a moment thinking about how they would ultimately like Speedy Dial! buttons to look before creating speed dials (as this may save time in the long run). Note further that the appearance of Speedy Dial! 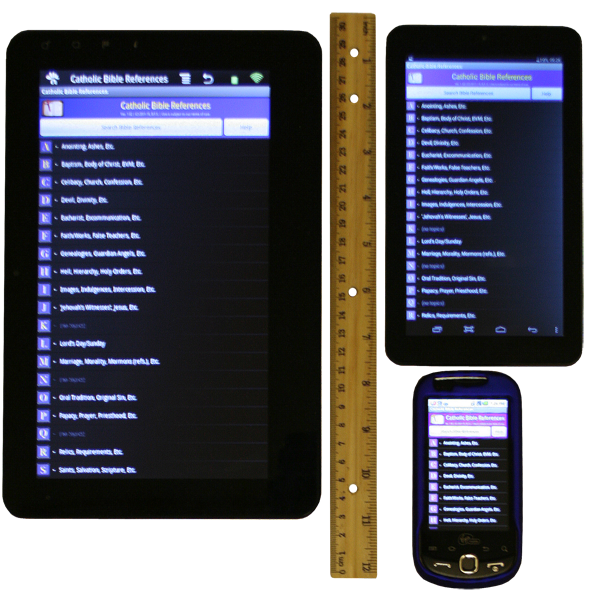 may vary greatly among users depending on how data is input [the general rule of thumb is to keep text as short as possible and to keep longer items evenly placed (e.g. some on left, some on right)]. 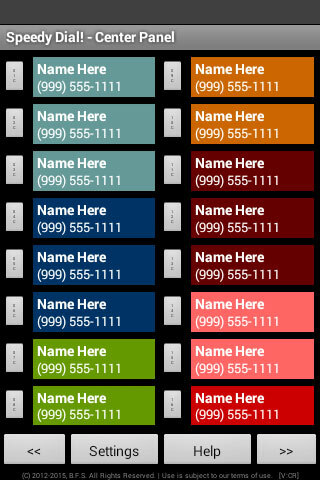 The Android system decides how wide columns may appear and when/where to ellipsize text for name and phone number. Speedy Dial! 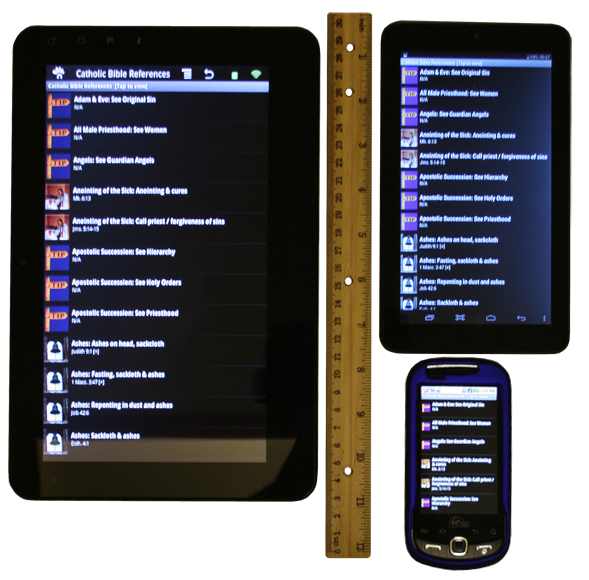 provides only general instructions to the system concerning column widths, but the final decision on appearance is left to the Android system. 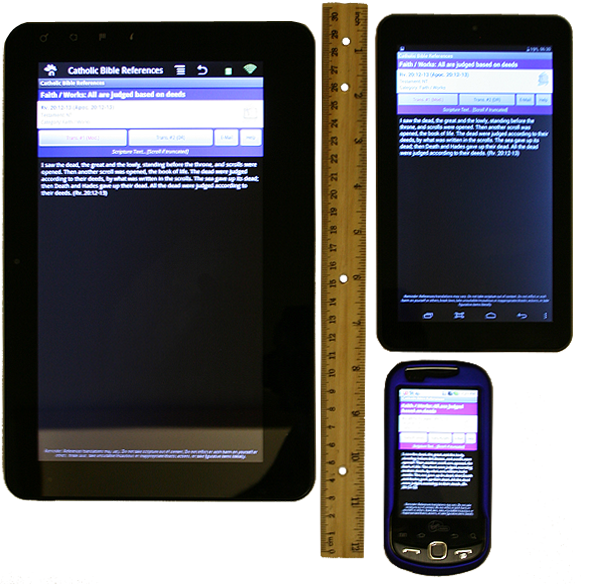 Also note that the width of columns may change significantly when the screen is redrawn. 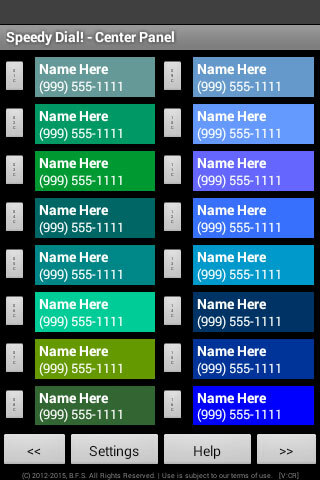 One SINGLE name or phone number that is long (or very long) may affect the appearance / layout of the entire panel. Further, note that the layout of items may change at any time based on factors out of the direct control of Speedy Dial! or out of the immediate control of the user. For best results, consider the suggestions we have provided (e.g. 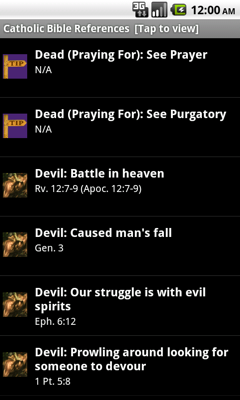 in the app's help file). We are unfortunately not able to guarantee that any particular phone number entered in this app will dial as expected and we are not able to provide individuals with dialing assistance. Be sure to double check all phone numbers carefully before dialing to ensure they are accurate & complete. 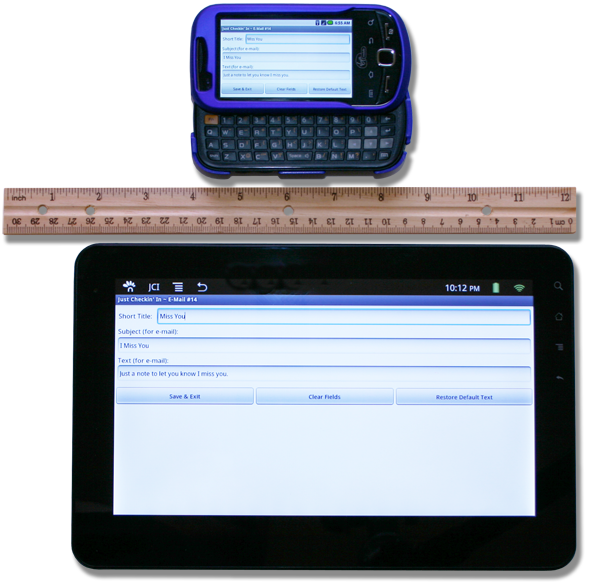 Note that the user is solely responsible for inputting data correctly and for checking all numbers before dialing. We are not responsible for any misdials / accidental dials / connection issues / etc. regardless of their cause. We will not reimburse for any calls or airtime or anything else in any way connected with use of this app. Lastly, please note that this app works within the Android framework and we only have a certain degree of control over various aspects of this app. Also note that the system may take over from the point of dialing (from here forward things may be out of our hands). Furthermore, note that changes to the operating system / settings / device / etc. may affect the behavior of this app. 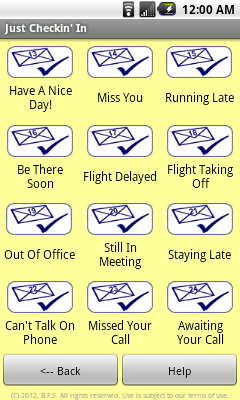 Just Checkin' In is a quick e-mail generator that can help you stay in touch quickly & easily with friends, family, co-workers and more - even during those busy moments. 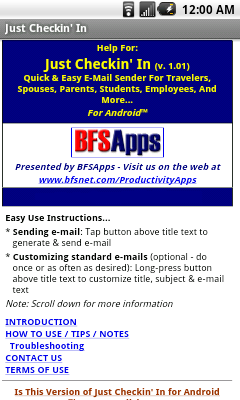 Features 24 standard e-mails that can be customized and sent almost instantly. * There is no need to maintain separate settings, folders, etc. 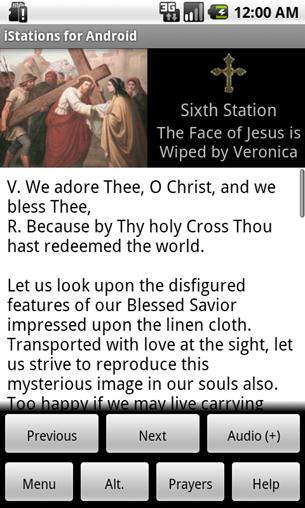 * A great gift app! * 'A giver of peace of mind' - "It gives me peace of mind knowing that my loved one is home safe"
* Note: If applicable, choosing an e-mail client may also be required. Notice: Apple, iPad, iPhone, iPod touch, and iTunes are trademarks of Apple Inc., registered in the U.S. and other countries. App Store is a service mark of Apple Inc. Android is a trademark of Google, Inc. Robot images appearing on this page are reproduced from work (or are modifications based on work) created and shared by Google and used according to terms described in the Creative Commons 3.0 Attribution License. (c) B.F.S., 2011-2019. All Rights Reserved.